Add a contemporary edge to your style with these sophisticated cufflinks. Square in shape, these silver tone cufflinks are rhodium plated for added shine and are set with chic blue goldstones for a contemporary look. 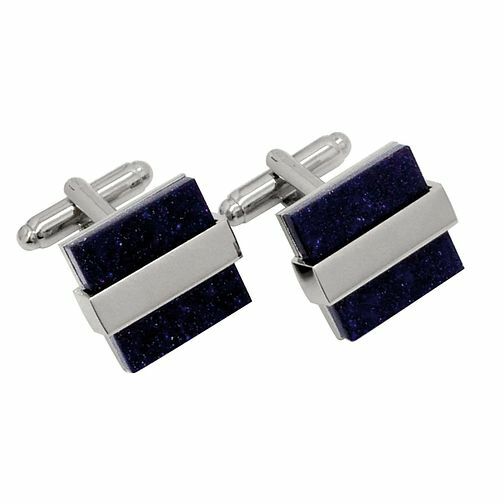 Rhodium Plated Silver Tone & Blue Goldstone Cufflinks is rated 5.0 out of 5 by 1. Rated 5 out of 5 by Anonymous from great gift wrapping service The cufflinks were as described, quick delivery. i was very happy with the service.